As the medals start coming in, I’ve been trying to pay attention to the anthems as the Olympians take the podium. After the Italian team beat my Americans in men’s archery, I realized this weekend that I had never really heard (or maybe just never paid attention to) the Italian anthem before. So thanks to YouTube, I found a version with both Italian and English subtitles. As I read the words of “Il Canto degli Italiani”, I realized a commonality between many of the European and American anthems. In our American “Star Spangled Banner” we sing of our flag still standing as we defeated the Brits and achieved freedom. In the U.K. “God Save the Queen” describes crushing the Scots. For the French in “La Marseillaise”, they call their citizens to bear arms and stand up against tyrants. And for the Italians, they claim victory as their personal slave and promise to die for Rome and country. It seems that our anthem writers were all pretty obsessed with our war-time wins and liked to sing our praises. Reading through the national songs made me wonder, if we were to re-write our national anthem in 2012, how would it be different? Although I can’t speak for every country, I feel pretty confident to say that the Americans would definitely change it up. We would sing of the American dream, equality for all, and patriotic pride. In fact, if it were up for a vote, we may just adopt “I’m Proud to be an American” and call it a day. 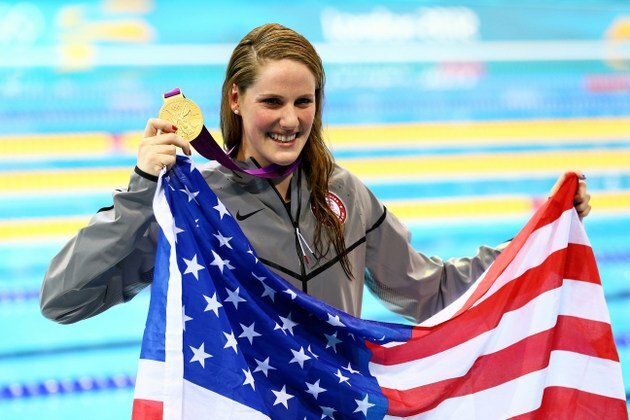 But yet, as Missy Franklin took the podium the other day and they played the “Star Spangled Banner” over the aquatic center, my last thought was of changing the anthem, but rather pure pride in my fellow countrywoman. And from the looks of things, “God Save the Queen”, “La Marseillaise”, and “Il Canto degli Italiani” are invoking the same feelings. I suppose its best not to fix what’s broke but I’m curious to hear other’s opinion. This entry was posted in Worldly Events and tagged Culture, Italy, National Anthems, Olympics on July 30, 2012 by eliseblalock. Fortunately my nosiness frequently gets me into some pretty interesting conversation. Like on Friday, I overheard the accent of another passenger on the train. She was visiting from Adelaide, Australia and we got into a great conversation about studying abroad. She was actually in the States visiting a friend who had studied abroad at her school. We talked about her impression of the States and how she loved San Diego but was overwhelmed by New York . We talked about how travel changes once you have friends in the location you are going to visit. She was absolutely lovely and I can’t tell you how glad I was that I talk to strangers. When we are traveling abroad or being global from home, I think talking to strangers is something we have to push ourselves to do. It’s the way we learn. I think back to all the times I refused to ask a stranger a question and I’m immediately filled with regret. It reminds me of when I was in Switzerland and would not ask anyone how to purchase a tram ticket. Instead I spent the whole trip on foot because I was too scared to ask for help. There was also the time I went to the Asian market and quickly dashed through the store rather than stop and ask questions at the different counters and really learn how the market is set up. When I’m too scared to ask, I think I miss out on so much. With our move coming up this Friday, I think this is a good reminder. In order for me to learn the lay of the land, get involved, and make friends, I need to throw the time-old advice of not talking to strangers out the window. I just hope I meet some good people along the way. This entry was posted in International Neighbors and tagged Adjustment, Culture, Oklahoma, Study Abroad, Travel on July 29, 2012 by eliseblalock. For pretty much everyone that goes abroad, you eventually come home. While California is certainly not abroad, this is the first time we’ve been home in 6 months. In fact, this is the longest both Hubby and I have ever been away from Atlanta. When we prepare students to study abroad we tell them there are 4 Hs of culture adjustment – honeymoon, hostility, humor, and home. 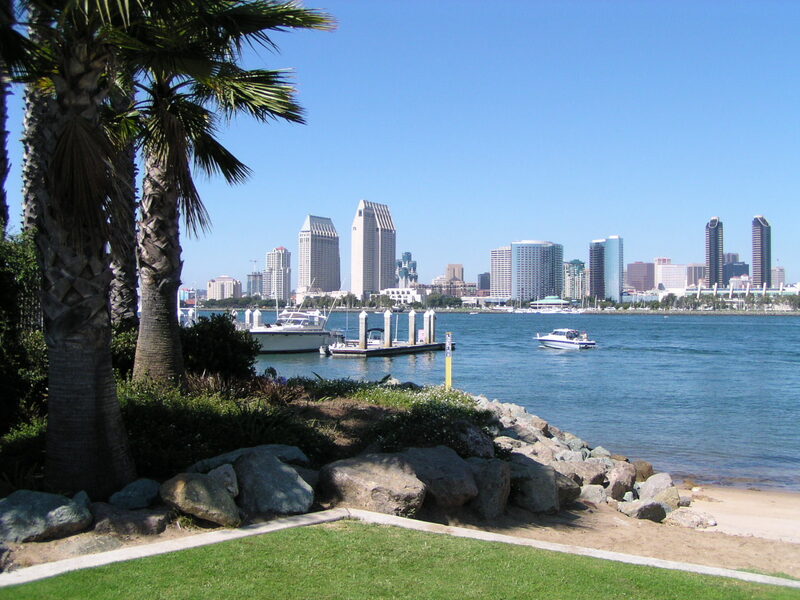 From experience I can say the 4 Hs applied to my transition to San Diego. At this point a year ago, I had been in San Diego for a week, was unemployed, lonely, and hating the 3 hour time zone difference and the small parking spots. I definitely was hostile. But today, I felt the duality of the home stage. I was coming home but felt I was leaving home all at the same time. It was bitter-sweet. I never really thought much about coming home today. I definitely didn’t think about reverse culture shock, so it snuck up on me. Today as we walked into my in-laws home we were immediately surrounded by 60 members of my husband’s family to celebrate his grandmother’s birthday. I was overwhelmed by a plethora of fried southern food, deep southern accents, and the number one question: How was California? I found myself reverting back to the same routine from when I studied abroad where I repeated the same statement over and over. I probably said, “California was great” about 37 times today. What is unfortunately is that California was more than great. It was a place where I grew both professionally and personally. It’s where I had the best of jobs as a study abroad advisor to fantastic students. It’s where I met 4 incredible women who became very close friends. It’s where I started this blog. Although my stent in California was shorter than I wanted it to be, my time there was transformational. I always tell my students that it will take some time to put into words what studying abroad really meant to them. I guess that is where I am right now. Currently, I know that this past year has been life-changing, but I’m not quite sure how to completely explain that. Hopefully I’ll get there soon. This entry was posted in Homebound Global and tagged Culture, Culture Shock, Homecoming, Study Abroad, Travel on July 28, 2012 by eliseblalock. Tomorrow we leave San Diego for last time as residents. Hubby will drop me off at the train station with three suitcases, two carry-ons, and large painting covered in bubble wrap. He will then drop our car off to be shipped to Oklahoma, take a taxi to the trolley, and then take the trolley to the train station. We will then take a train to LAX where we will catch a bus to the airport and then a red-eye to Atlanta, where our parents will pick us up tomorrow morning. Whew! I’m already exhausted and the day hasn’t even started. San Diego, you’ll be missed. You’ve been an incredible place to work, play, and be global from home. 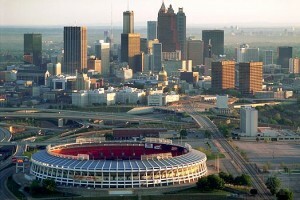 Atlanta, I can’t wait to be home, see family, and sleep! Oklahoma City, be ready. We’re coming next Friday! This entry was posted in Homebound Global and tagged Moving, San Diego, Travel on July 26, 2012 by eliseblalock. With the Olympics starting this week, I’ve been searching through Olympic tagged posts on WordPress to gear up! A few nights ago I came upon a blog that stuck out: Jane’s Olympic Blog. Jane is from Bromley, England and her blog is all about serving as an ambassador for Team London. She is a true Olympic insider! Jane was so kind to answer a few of my questions. What Olympic sport are you most excited to see? We’ve got tickets to see the table tennis, as hubby plays it (though not to Olympic level! ), so that will be the most exciting, I think. Plus of course the athletics – I wonder how many records will be broken and how quick Usain Bolt will run?! What is the most important thing they teach you in ambassador training? Our ambassador training provided us with a lot of knowledge about what we’ll be doing – welcoming people to London and providing them with information on places nearby, how to get to where they want to go and what else is going on nearby. As an ambassador for London, what restaurant would you recommend a visitor to try? We can’t recommend specific restaurants as there are so many and it depends where we’ll be based, and on individual taste. I will be in the ‘Flying Squad’ which means I’ll get to travel about and provide cover at different Ambassador stations each day. For anyone coming to London, the best place to look for restaurants and read their reviews is http://www.timeout.com/london/. Definitely check out Jane’s blog for the inside scoop on the London Olympics. This entry was posted in Worldly Events and tagged Culture, London, Olympics, Team London, Travel on July 26, 2012 by eliseblalock. Now that you are +203 days into your Brazilian Challenge, what is your favorite challenge so far? While the travel experience and the food tasting challenges are the most fun, my favorites are the ones that are really kind of scary and challenge me in both the culture and language. So I’d have to say that my very favorite is “The Exams” when I spent the morning experiencing the Brazilian medical exam center system and learning all sort of new vocabulary. You’ve been State-side for almost six weeks. How hard has it been to be Brazilian in Chicago? Harder than I thought. Chicago doesn’t have a large Brazilian community like New York and Los Angeles, so I’ve been limited on food, art and entertainment venues. But it has forced me to test my Brazilian behavior skills, which gets me closer to the original goal of my blog – to become more Brazilian. What do you prefer: Brazilian parenting styles or American parenting styles? That’s difficult because parenting styles vary within both cultures. But I feel like American parents are much more involved in the details of their children’s lives. Brazilians tend to put less importance on day-to-day participation and feel it is acceptable to pass tasks, like bathing and feeding, off to others. My mothering mindset is more aligned with the American way, probably because of my American upbringing. But I have witnessed a few American expat mothers adapt into the Brazilian parenting style quite easily. Who speaks better Portuguese, you or your daughter? What advice would you give someone trying to assimilate into another culture? I just published “10 Tips for Surviving Sao Paulo,” on my blog. I think all ten pretty much apply to anyone assimilating into another culture. But the one main clue to adaptation is to know that you need help. Most larger cities have organizations for expats and I would highly recommend seeking out those groups for information and support. This entry was posted in Abroad Blogs of the Week and tagged Abroad, Brazil, Culture, Expat, Travel on July 25, 2012 by eliseblalock.